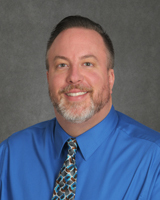 Justin M. Waryold, DNP, RN, ANP-C, ACNP-BC, CNE, is a Clinical Assistant Professor at Stony Brook University’s School of Nursing and is the Program Director for the Advanced Practice Nursing in Adult-Gerontological Health. Dr. Waryold holds an undergraduate degree, master's, and doctor of nursing practice degree from Stony Brook University. Additionally, he completed a post-masters certificate in Nursing Education at Excelsior College and a post-doctoral fellowship at Stony Brook’s School of Medicine. Dr. Waryold’s academic career is focused on adult-geriatric health within the primary and acute care environment and has been instrumental in the development of the Adult-Gerontological curriculum content. His doctoral scholarship includes research in transition of care for the older adult from the hospital environment to the home. In addition, Dr. Waryold has completed a post-doctoral scholarship with the focus on co-creating a course for the advanced practice nursing student on the importance of decreasing barriers to any and all persons with a sexual health need. Through this course, he evaluated the students’ increasing knowledge and comfort on caring for a LGBTQI person with a medical need within an advanced practice role. He has presented these findings regionally and nationally and discussed approaches on how to decrease barriers to care for the LGBTQI person. Currently, Dr. Waryold practices Internal Medicine in the primary care setting and is a listed provider for primary care services for LGBTQI persons through the Gay and Lesbian Medical Association. He is a member of Sigma Theta Tau International, serves on the school’s chapter, Kappa Gamma, as the treasurer. He continues to be active with the Nurse Practitioner Association of Long Island and presently serves on the Board of Directors as editor for the Newsletter. Dr. Waryold’s area of clinical and research interest includes men’s health, primary care, promoting appropriate sexual health care across the lifespan, and improving access to care for the LGBTQI community. Walker, K., Arbour, M., & Waryold, J. (2016, October 26). Educational strategies to help students provide respectful sexual and reproductive health care for lesbian, gay, bisexual, and transgender persons. Journal of Midwifery &Women’s Health. Waryold, J., Moran, P. Invited Speaker, “Theories of Different Modalities to Prevent Medication Errors during Transitions of Care". Ninth National Doctors of Nursing Practice Conference. October 5-7, 2016. Baltimore, MD. Waryold, J. Walker, K.  Invited speaker, "If you don't ask, They Won't tell: Obtaining an Accurate and Meaningful Sexual History". Nurse Practitioner Association of New York State 32nd Annual Conference. September 28-October 2, 2016. Niagara Falls, NY. Waryold, J., Moran, P.  Invited Speaker, "Pharmacology Update: Transitions of Care and Medication Safety". Nurse Practitioner Association of New York State 32nd Annual Conference. September 28-October 2, 2016. Niagara Falls, NY. Waryold, J.  Poster Presentation, “Improving Competence in Sexual Health Care: Development, Implementation and Evaluation of an Online Sexual Health Course”. Nurse Practitioner Association of New York State 32nd Annual Conference. September 28-October 2, 2016. Niagara Falls, NY. Walker, K., Waryold, J. Invited Speaker, “Improving Competence in Sexual Health Care: Development, Implementation and Evaluation of an Online Sexual Health Course”. American College of Nurse-Midwives 61st Annual Meeting. May 21-26, 2016. Albuquerque, NM. Waryold, J., Walker, K.  Invited Speaker, “Improving Competence in Sexual Health Care: Development, Implementation, and Evaluation”. National Organization of Nurse Practitioner Faculties 42nd Annual Conference. April 13-17, 2016. Seattle, WA. Waryold, J., Moran, P.  Poster Presentation, “Pharmacology Update: Transitions of Care and Medication Safety”. 2016 Nurse Practitioner Association of Long Island Annual Conference. April 8, 2016. Woodbury, NY. Waryold, J. Invited Speaker, “Utilization of a Sexual Health Course to Examine Knowledge, Perception, and Attitudes of the Nurse Practitioner Student among the LGBT Population”. First Annual Medical Education Day at Stony Brook School of Medicine. April 11, 2016. Stony Brook, NY. Waryold, J., Moran. P., Balkon, N., Moriates, M., Balkon, C.  Poster Presentation, “Pharmacology Update: Medication Safety across Transitions of Care”. Stony Brook’s Third Annual Converging Sciences Summit. April 27, 2016. Stony Brook, NY. Garcia, C., Raghavan, S., Lobosco, M., Kranz, K., Roberts, L., Waryold, J., Laver, N., Rosner, T., Moriates, M., Moran, P.  Invited Presentation, “Evaluating the effectiveness of a simple survey in Reducing Admission in the BOOST Population”. Stony Brook Medicine’s 4th Annual Partners in Quality and Patient Safety Day. April 22, 2015. Waryold, J., Marino, M.  Poster Presentation, “Evaluating the Effectiveness of Project BOOST”. Stony Brook School of Nursing, 2014 Research Day. May 9, 2014. Stony Brook, NY. Roberts, L., Marino, M., Waryold, J., Moran, P.  Poster Presentation, “BOOST Your Patients to Prevent Hospital Readmissions”. American Geriatric Society 2013 Annual Scientific Meeting. May 2-5, 2013. Grapevine, TX. Roberts, L., Marino, M., Waryold, J., Moran, P.  Poster Presentation, "Successful Interventions to Reduce Hospital Readmissions”. Stony Brook Medicine’s Quality Recognition Ceremony. November 19, 2013. Stony Brook, NY.